One way to conceal a larger pistol like the S&W M&P40 is to carry with a Smith and Wesson M&P40 shoulder holster. 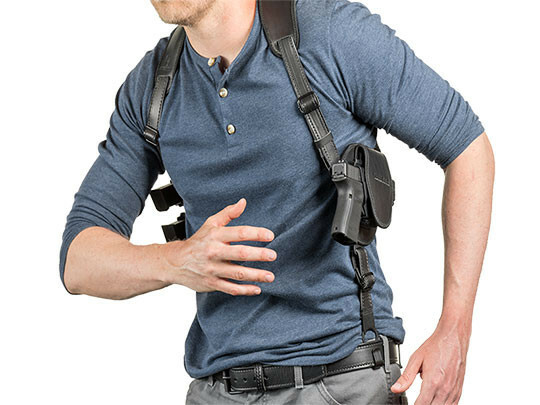 Some people aren't able to conceal a service pistol on or about the belt, which makes a shoulder holster a viable alternative. 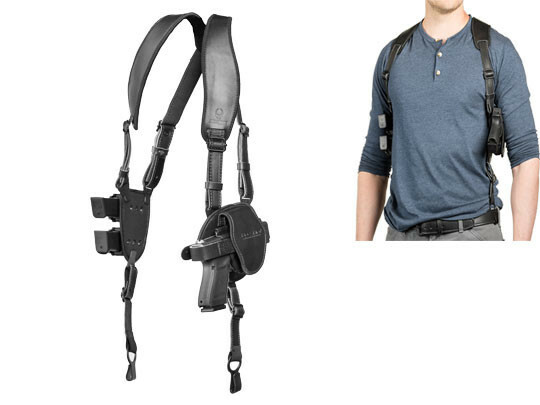 The pity is that there aren't many designs of shoulder holster for M&P40 pistols that let a person carry comfortably, or anywhere near as well as most belt holsters do. Uncomfortable straps, that don't sit well on the person carrying. Holster designs that put the gun in the armpit or so far off the body that concealment is difficult without wearing a parka year round. Horizontal orientations that produce a tell-tale goiter in your garments and flag anyone standing behind you. Alien Gear has a better breed of M&P40 shoulder holster. 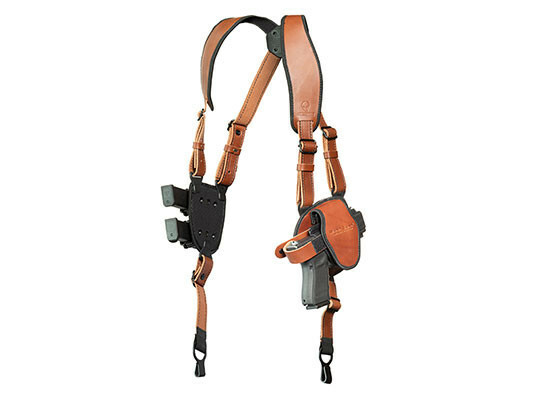 Our shoulder holster uses a clover harness, which lets the straps independently adjust to sit correctly on your shoulders. The comfortable straps are padded with our CoolVent perforated neoprene, making all-day carry easier. Belt hooks are added to the straps to anchor the holster on the belt and distribute the weight of the pistol better. 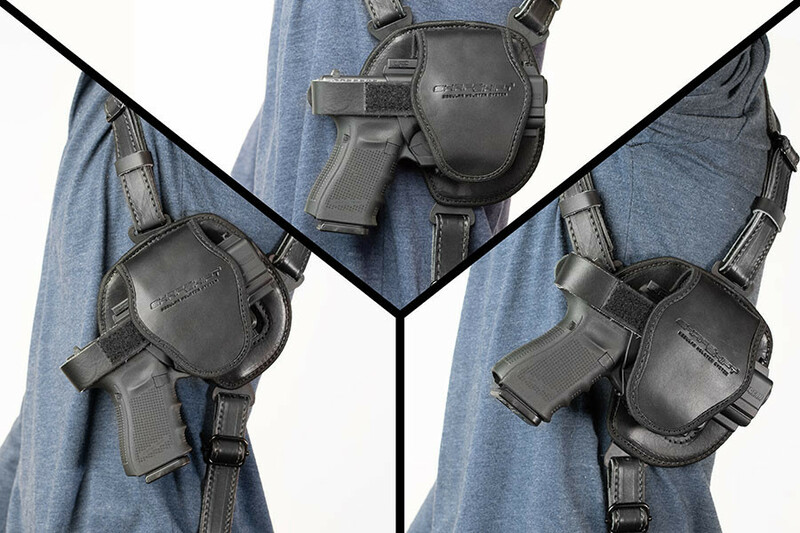 The straps are also adjustable, allowing you to raise or lower the holster. You can also change the grip cant, in case you prefer an S&W M&P40 vertical shoulder holster to a horizontal orientation. You can also add up to two Alien Gear Cloak Mag Carriers to the shoulder holster and carry additional rounds. The holster itself is our ShapeShift M&P40 holster, custom-molded for this make and model of pistol for a perfect fit. 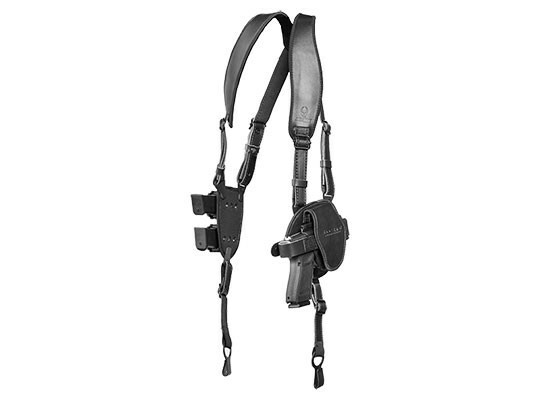 Passive retention is fully adjustable and a thumb break is included with this shoulder holster for M&P40 pistols. You can, however, remove it if desired. 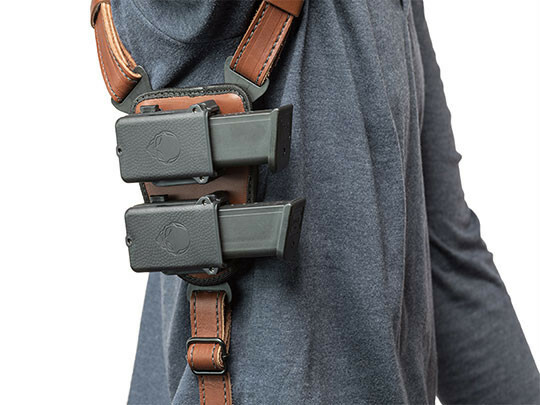 No other shoulder holster carries this comfortably nor gives the wearer the ability to customize it to their needs to this degree. You also won't find too many holster companies with this same caliber of product guarantee. You get the first 30 days to wear the holster and return it for a refund if you aren't satisfied. We also warranty this holster fully for life. You get the peace of mind you need from carrying concealed, and the peace of mind you need about doing so with an Alien Gear holster.